With its 277 meters, Lycabettus Hill is the tallest hill in the capital of Greece. 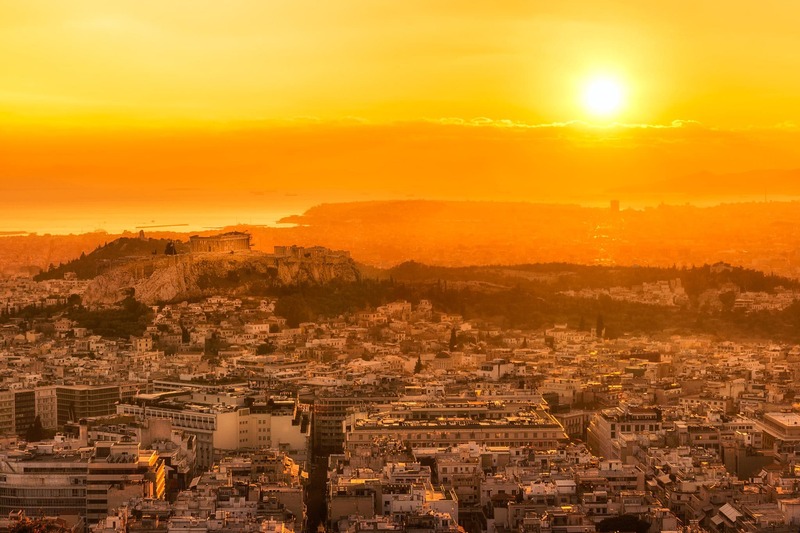 That’s why, when you go at the top, you can see some of the Athens’ most popular monuments – the Acropolis, the Temple of Zeus, the Panathenaic Stadium. When you climb the Lycabettus Hill, you will see the charming St. George’s church, built in the 19th century. Best thing is that you could continue enjoying the view on your way down. The Acropolis view was the first one which greet us in Athens. This hill with remains of Parthenon temple is visible from almost every point of the city. 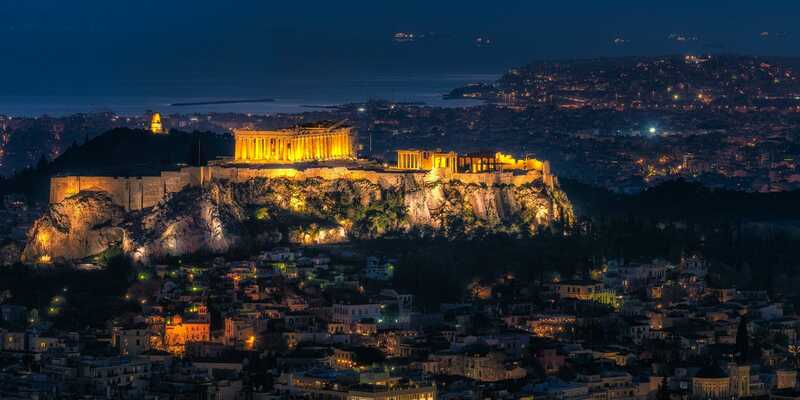 The Acropolis of Athens is situated on a rock that rises around 150m above sea level. If you’ve been to the capital of Greece, you know how stunning it is to see it from anywhere, day and night.